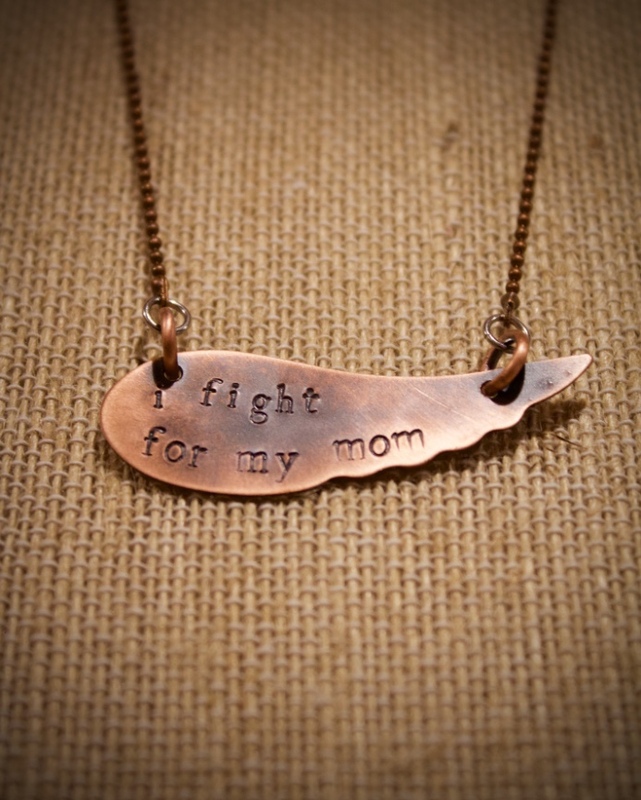 Show your support and fighting spirit with this personalized Angel's Wing Necklace. Pick one of our messages or create your own. Made of copper, oxidized, treated and sealed to give it a vintage look that will last.